Honduras is one of the biggest countries in Central America, but also one of the least visited. Or at some of it is. Its Bay Islands archipelago off the northern coast is a major tourist destination that caters to divers, sun seekers, and backpackers from all over. But the Roatan and Utila are only a tiny part of Honduras. The vast majority of the country is on the mainland, and to most foreigners, the mainland is a mystery. It’s another country with a bad reputation, along with the rest of the Isthmus. But scratch beneath the surface stories of corruption, poverty, and crime, and there is something substantial in Honduras. There’s a multiple of cultures and a Honduras is as diverse as anywhere else in the region. Alongside the different types of people there are different types of Honduras. There’s beach Honduras, rain forest Honduras, and cloud forest Honduras. There are large towns and tiny villages. There are lost cities that sit in unexplored jungle. In short, there is a lot more to Honduras than a resort on Roatan. An awful lot more. Honduras, no matter what you hear about it, is way more complex than that. The term “Banana Republic” is synonymous with instability and chaos. It’s a derogatory term the we westerners use for poorer countries where things are not going well in. But Honduras was the original Banana Republic. American author William Sydney Porter coined the term in 1904 in his book, “Cabbages and Kings”. In the book, he described a fictional Central American country called Anchuria, which had only one export (bananas) and was effectively ruled by US fruit countries. Porter based Anchuria on Honduras. Honduras’ nickname of the Five Star Country comes from the fact that its flag has five stars on it, each star representing the five countries that made up the original Central American Federation (Honduras, Guatemala, Nicaragua, El Salvador, and Costa Rica). Local wags also use the term ironically when the internet or the power is down. Honduras was the first country in the world to ban smoking in one’s own home. If you are smoking a cigarette in Honduras, you must also stand at least two meters away from the nearest person to you. The town of Yoro in Honduras is famous for its showers of fish. No-one knows exactly why at least once a year it rains fish, but it happens regularly enough for the town to arrange an annual festival around the event. The most likely explanation is that the fish get scooped out of nearby rivers by waterspouts during storms and fall like rain onto the town. The more popular explanation, though, is that it’s a miracle sent by God. 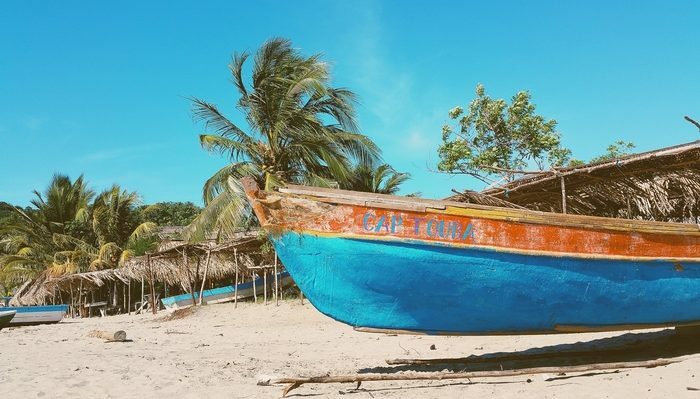 Alongside the Afro-Caribbean and Garifuna populations of the Bay Islands, you’ll also find a lot of blonde hair and blue eyes – and no, these aren’t all the tourists. These are Honduran Bay Islanders, direct descendants of the pirates that once hid out here.